UPDATE: San Francisco is going through a dry spell and I’m not talking about the weather. Fist City closed in June and now Hell Hole has cancelled their parties for the rest of the year. If you have a lead on a space that could host a party on a monthly basis, please contact Hell Hole. 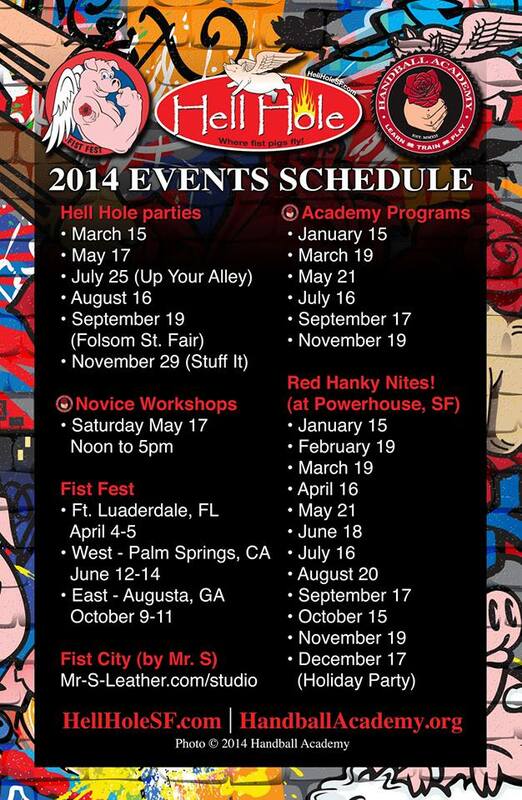 If you are in San Francisco and have time on your “hands”, here are the 2014 party schedules for Hell Hole and Fist City. To get on the guest list and the location info of the parties, here is the link for Hell Hole and for Fist City.